As the federal government dismantles the rights of workers, immigrants, and other marginalized communities, it is more important than ever for California to implement safeguards that protect our state’s most vulnerable populations. We must counter bigoted and reactionary policy trends with our alternative vision of safety, health, and justice for all. 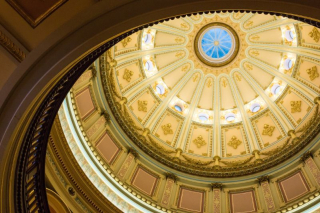 We are asking our partners and supporters to take action and stand in solidarity on a number of key pieces of legislation: SB 306 (Hertzberg), AB 450 (Chiu), SB 54 (De Leon), AB 1008 (McCarty), and SB 258 (Lara). Click here to read more about these bills and find out how you can get involved!